The Allied Invasion of Normandy on 6 June 1944 marked the beginning of the end for Germany. Codenamed “Neptune,” the Allied landings at Normandy was the key component of Operation Overlord. In one of the largest amphibious assaults ever conducted, 75,215 British and Canadian troops, along with a further 57,500 Americans were landed on the beaches at Normandy. By the time Neptune was officially ended, on 30 June, 850,279 troops, with 148,803 vehicles and over half a million tonnes of supplies had been landed. Bad weather and German resistance, however, almost ground the Allied advance to a halt 30 kilometres inland. It was clear that much hard fighting was still needed in order to achieve the objectives of Overlord. A small number of Australian Army and Navy personnel directly took part in the landings at Normandy. Twelve were attached to British army formations and around 500 served across dozens of Royal Navy warships. 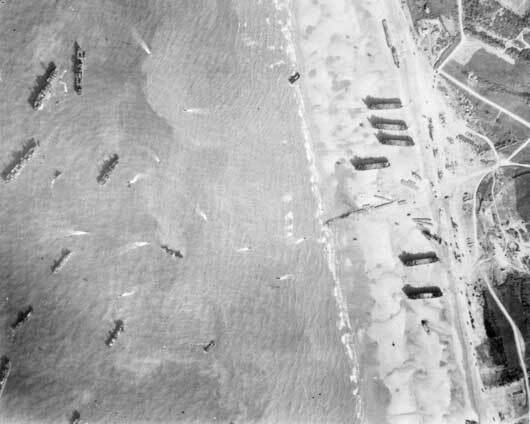 In the skies above Normandy, Australians served in dozens of RAF and RAAF squadrons, flying all manner of aircraft from fighters operating directly over the beach-head to transport missions and heavy bomber raids. Fourteen Australians died on D-Day, including twelve RAAF members and two RAN members. 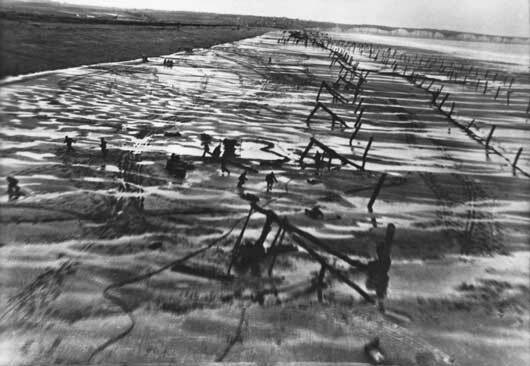 German troops working on beach defences scatter for cover after being startled by a low level RAF reconnaissance flight (AWM 128302). 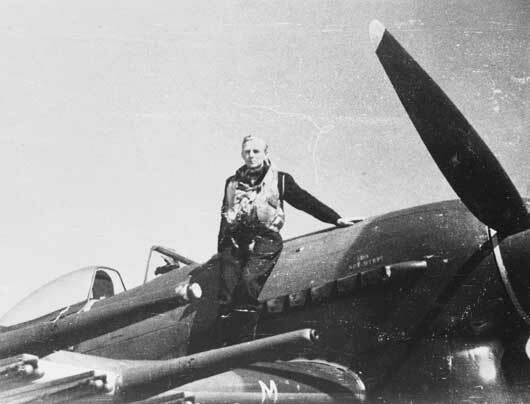 Pilot Officer Donald William Mason RAAF was shot down near the village of Boulon, where his body remained undisturbed in the fuselage of his Hawker Typhoon until 1992 (AWM P01899.002). 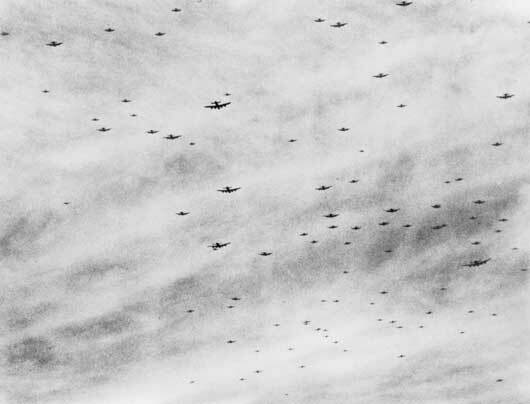 Nearly 100 Lancasters of RAF Bomber Command en route to attack enemy positions in Normandy and Brittany (AWM SUK12676). 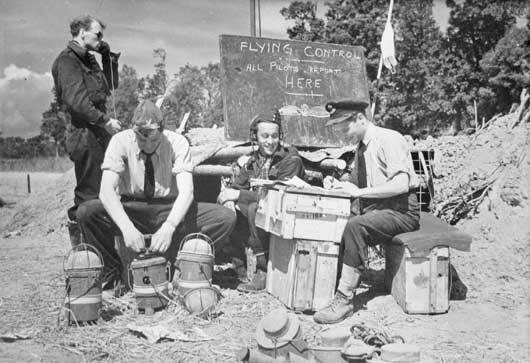 Flying Control at work on an RAF airstrip established shortly after the initial landings in Normandy (AWM SUK12444). An artificial harbour formed by shipping off the Normandy coast at Arromanches (AWM SUK13292). 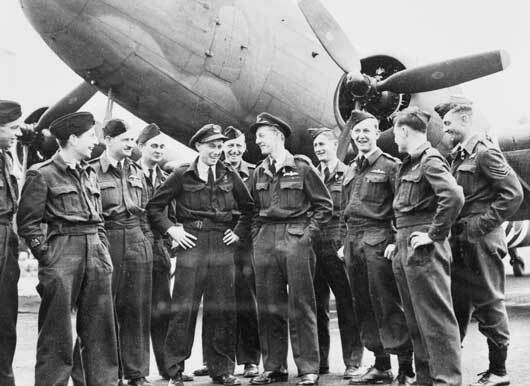 Informal group of RAAF air crew who flew the wounded back from the Normandy battlefield in Transport Command Douglas C47 Dakota aircraft (AWM UK1690). 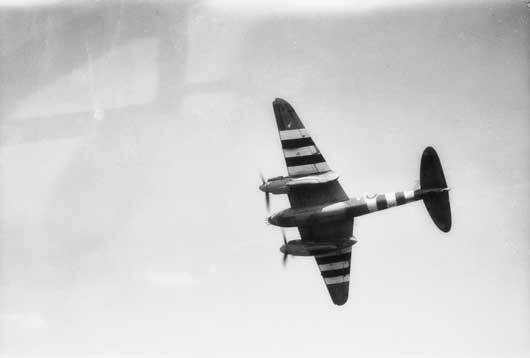 A view of a 464 Squadron RAAF Mosquito aircraft, displaying its invasion markings as it flies over England on its way to attack enemy targets in Normandy (AWM UK1755).